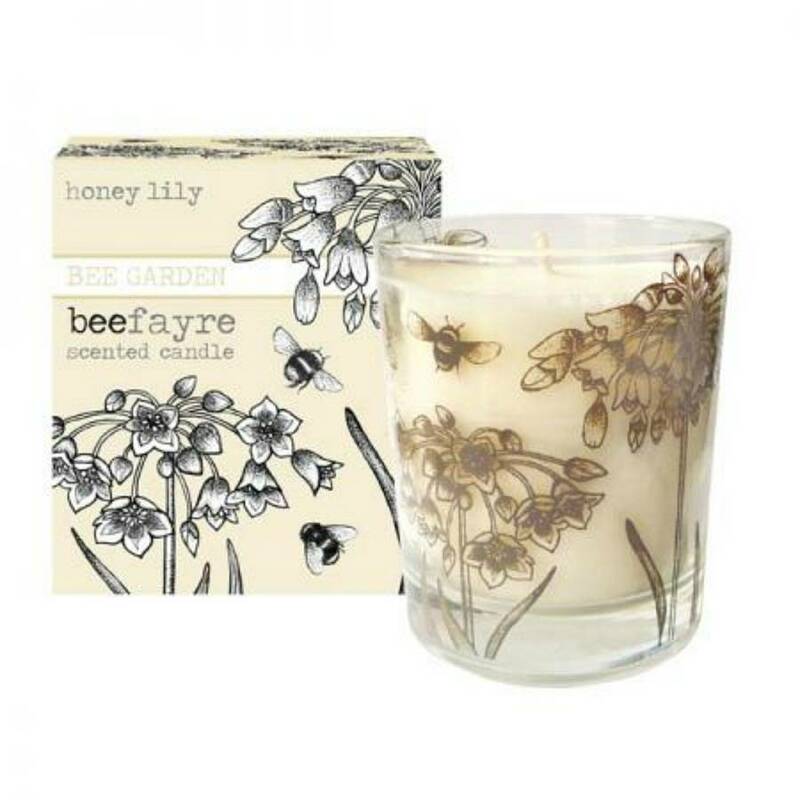 Beautifully scented, this hand poured candle makes a unique gift that can be reused forever. A classic vanilla fragrance, honey lily is a warm and comforting scent for any home. Once your candle has burnt down, you can simply wash it out and reuse it. Perfect as a water glass or posy vase. PETA certified cruelty free and vegan friendly. 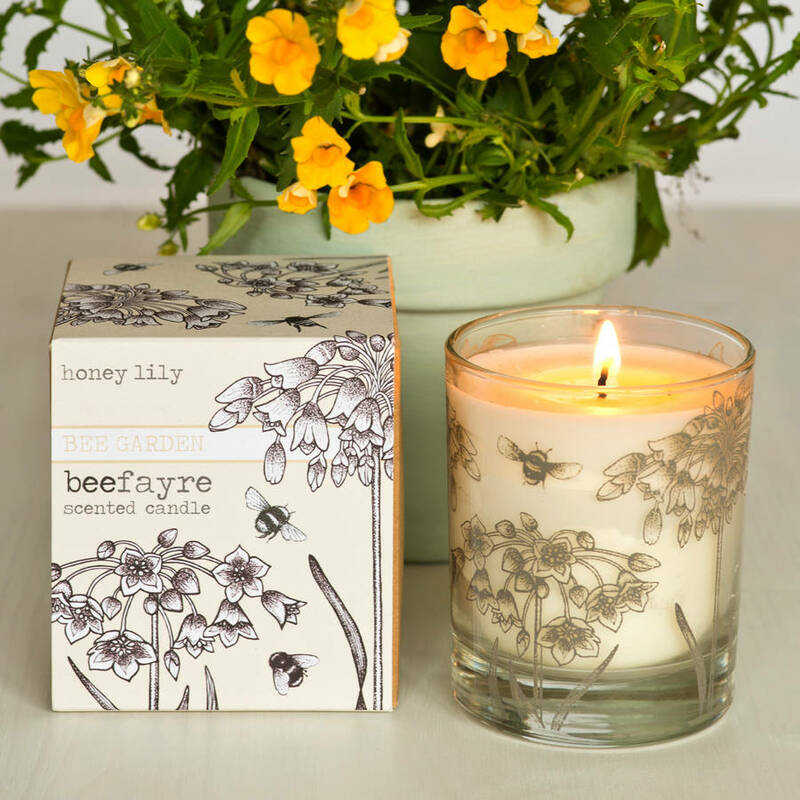 3% of annual profits go to bee conservation, in buying Beefayre you're helping the bees! Available in 7 other fragrances. Made with 100% natural plant wax and cotton wick. Burn time: approximately 50 hours. This product is dispatched to you by Beefayre.